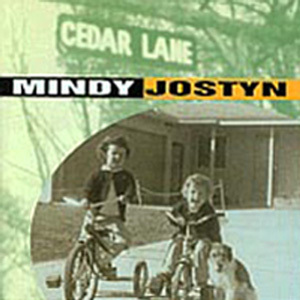 Mindy Jostyn’s Cedar Lane, (Palmetto Records) is a broad avenue whose course provides an effortless passage from one inspired locale to another. With a keen instinct for storytelling, the songs of Cedar Lane explore the themes of home, history, love and humor in a pop/folk, worldly-wise manner. These are the songs of a woman who started out just wanting to “play with the boys – ” Now the boys want to play with her. Described as an “explosion of talent”, Mindy Jostyn’s art is an unpresuming pleasure. Her “So Fragile” is a beautiful soul-searching love song whose melody will linger on long after your first listening.